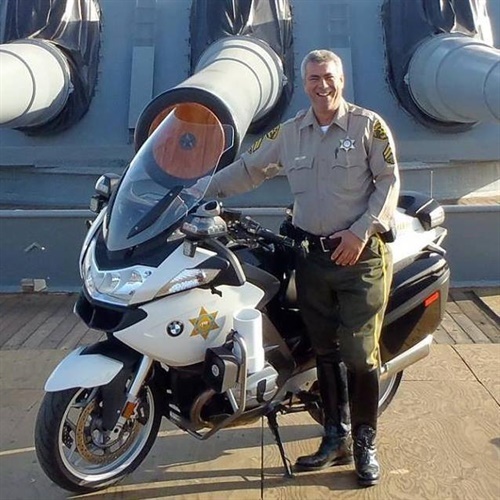 An off-duty Los Angeles County sheriff’s deputy was struck and killed by a passing vehicle on the San Gabriel (605) Freeway, after the deputy stopped his vehicle in the emergency lane, authorities said Sunday. Michael Leonard Haak, 52, began his career with the Los Angeles County Sheriff’s Department in the fall of 1988. He is survived by his wife, three children and a sister, the Los Angeles County Sheriff’s Department reported. The California Highway Patrol said in a crash report that its initial investigation indicates that Haak was “presumably experiencing vehicle trouble” and walked into a traffic lane on the right side of the six-lane northbound 605 Freeway. He was hit by a car at 2:45 p.m. Saturday. The other driver, a 54-year-old man from Buena Park, stayed at the scene and cooperated with investigators, the CHP said in a crash report.